Whale watching by aeroplane offers a unique perspective and the opportunity to view whales and dolphins in their natural environment. 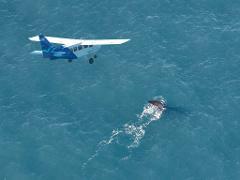 From the air passengers can experience the true magnitude of the world’s largest mammal, the whale. 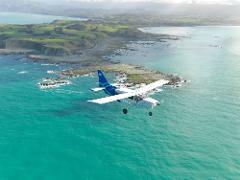 Experience the stunning beauty of Kaikoura from above. Soar above the peninsula and mountains for panoramic vistas and amazing sights.